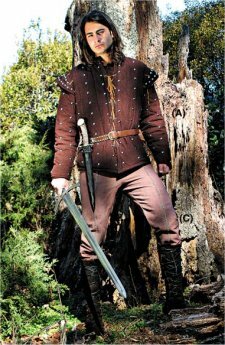 These comfortable pants have the same period style and feel as the Robin of Locksley Gambeson. Made of a durable heavy cotton, the pants have an elastic waistline, allowing for an easy fit. Choose S/M or L/XL. Brown only.